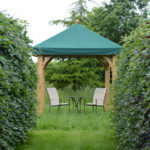 Designed to be used in your garden all year round and provide extra outdoor space. 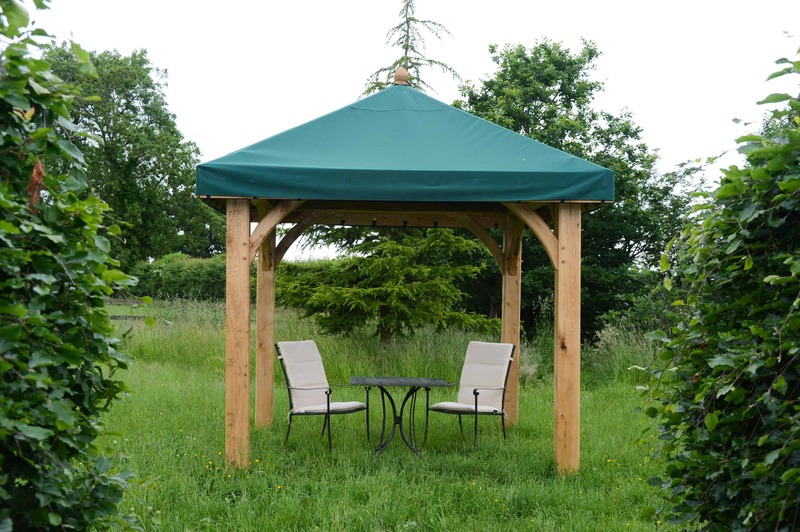 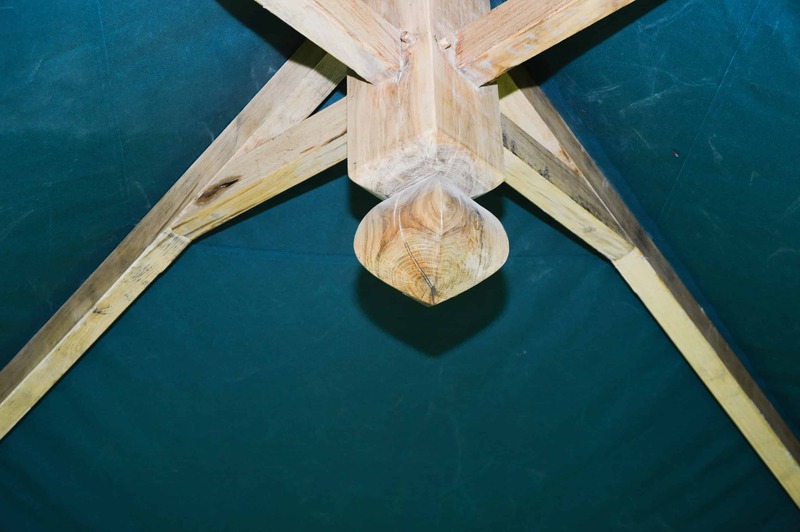 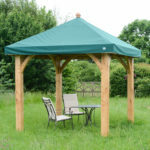 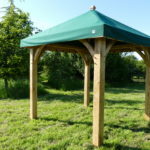 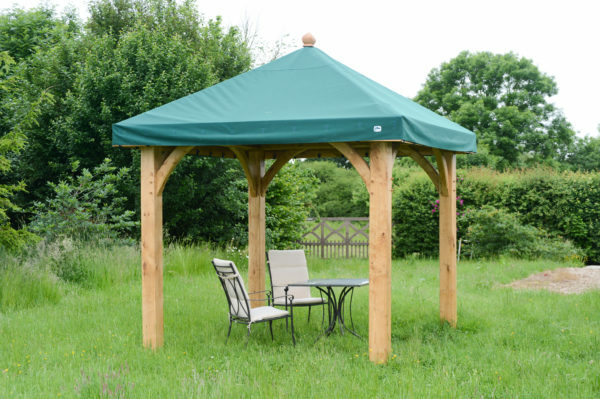 These timber framed gazebos cater for the British weather and are permanent structures in your garden. They are supplied with a detachable canvas top, enabling them to be used in the summer to protect you from sun or rain, while in the winter an attractive feature remains in your garden once the canvas is removed. They are available in 3 sizes: 8′ x 8′, 10′ x 10′ and 10′ x 15′. 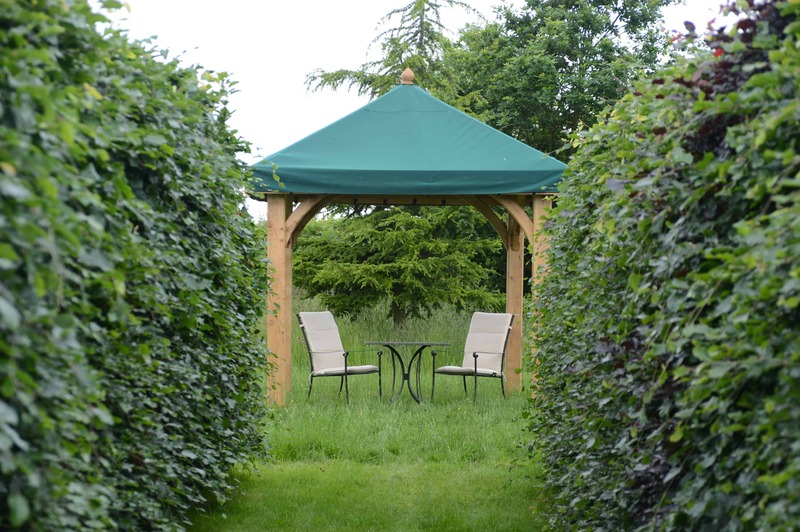 The gazebos make an elegant additional to any garden and create a multi-functional exterior room – why not entertain in your garden protected by the British weather, grow plants up it, use it to cover a hot tub or just hang a hammock from it and relax! 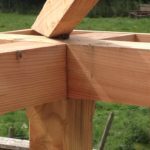 The planed timber frame is supplied in kit form with chamfered edges to all timbers and curved braces; and is available in oak or larch. 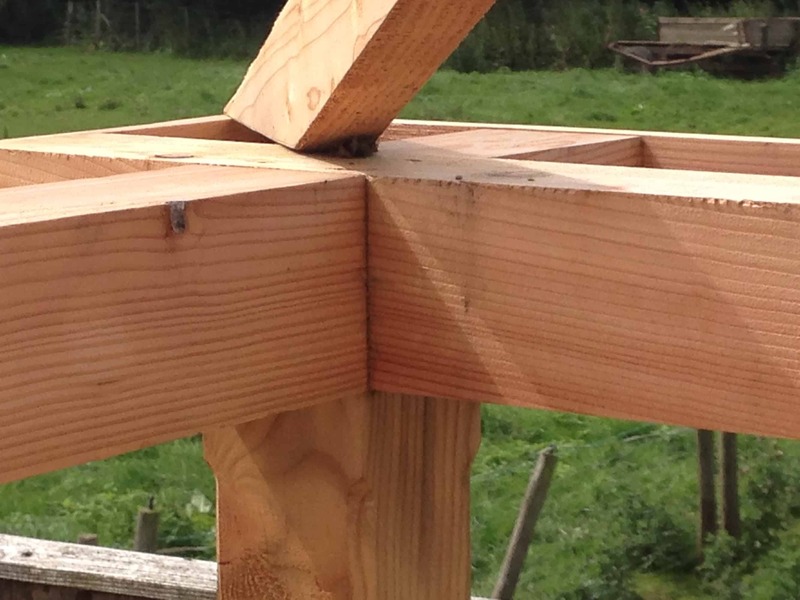 The uprights are 5″ x 5″ (125mm x 125mm). 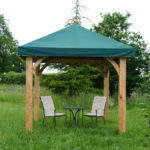 Please email us for more information on prices, sizes and canvas colours or fill in the form below! 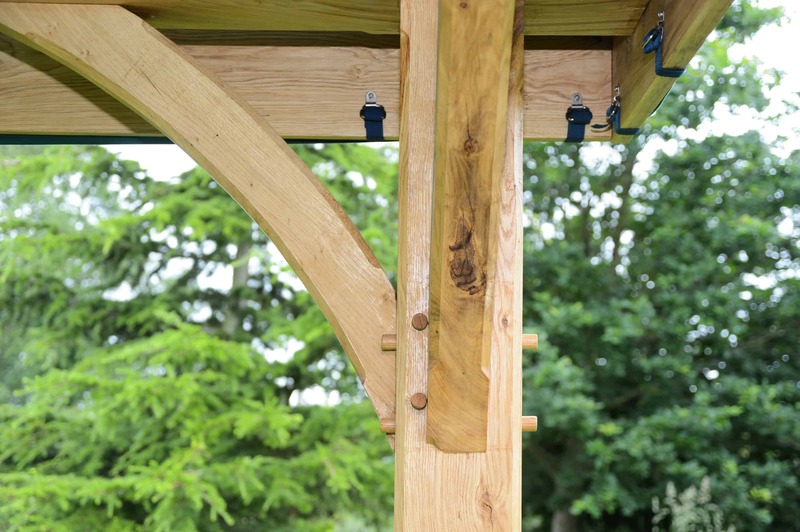 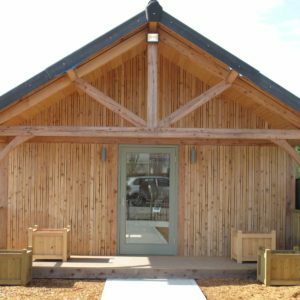 Made from larch grown in Yorkshire and cut on site, these larch framed buildings offer a cheaper alternative to oak framed buildings, while still giving the same longevity and durability. 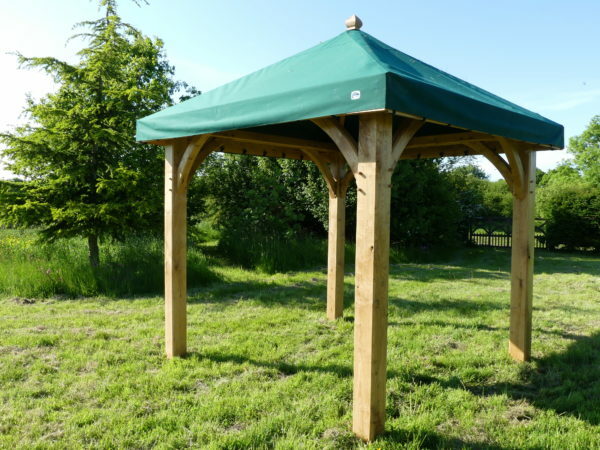 They includes small log stores, garden rooms, gazebos, garden offices, and garages. 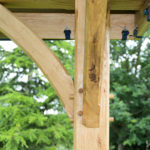 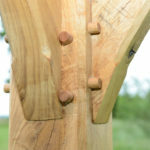 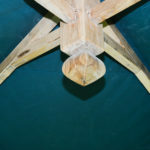 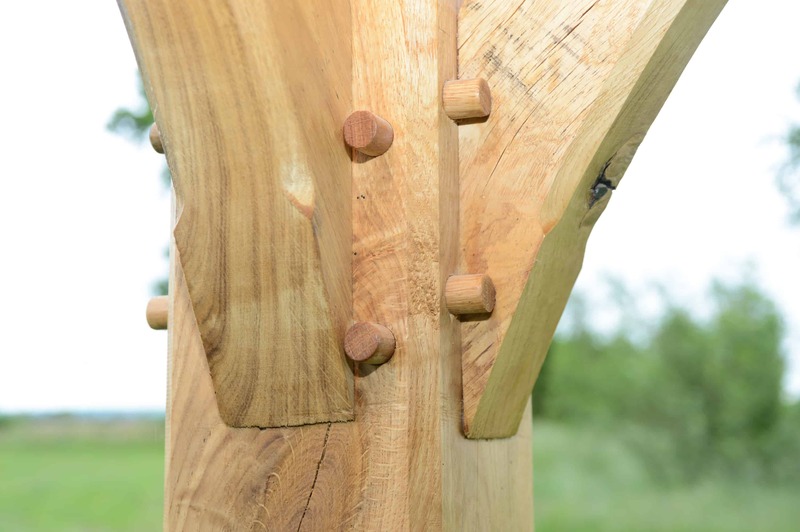 All made in our workshops using traditional mortise and tenon joints, and finished off with pegged dowels. 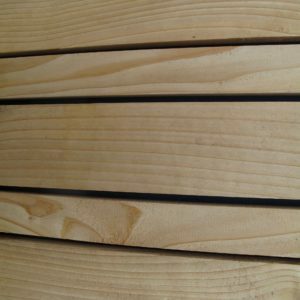 We also cut cladding in a range of styles from sawn larch to the more contemporary planed cedar, a finishing touch to help individualise every building no matter how large or small. 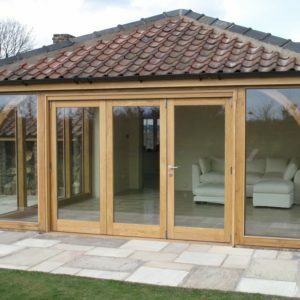 Call us for more information or to arrange a site visit. Email us for more information or fill in the form below!